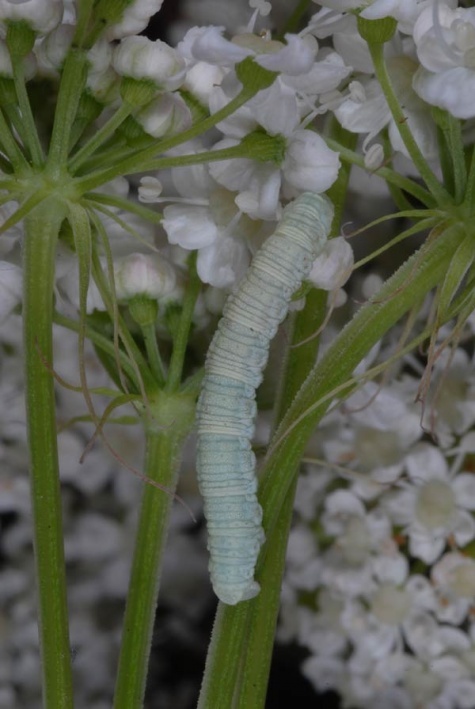 The caterpillars feed on flowers and fruits of various Apiaceae: Pimpinella saxifraga, Bupleurum, Pastinaca, Angelica and particularly often Peucedanum. 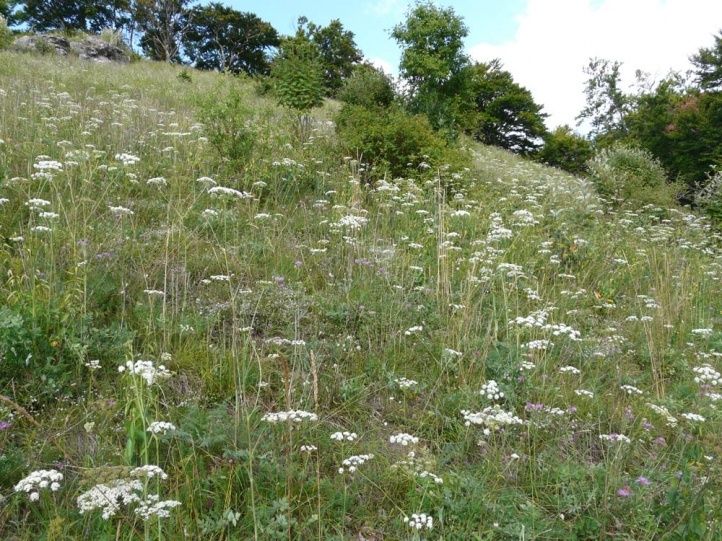 I found many larvae on a steppe-like slope on the eastern Swabian Alb on Peucedanum cervaria. 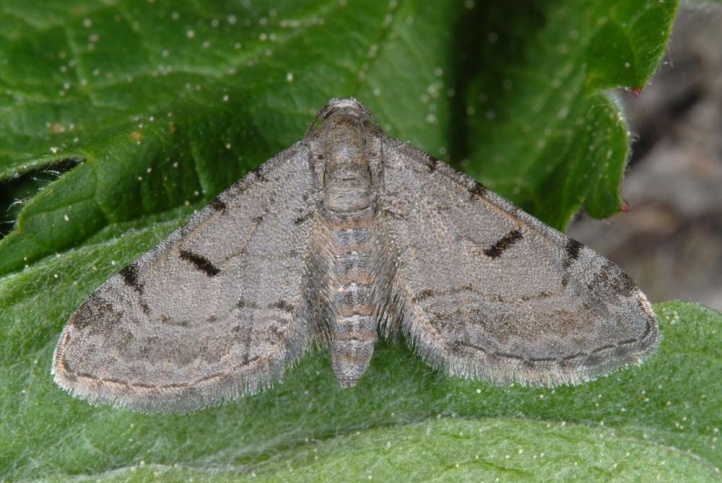 Eupithecia extraversaria inhabits dry and warm habitats such as calcareous grasslands and dry woodland edges in open forest. The pupa hibernates. 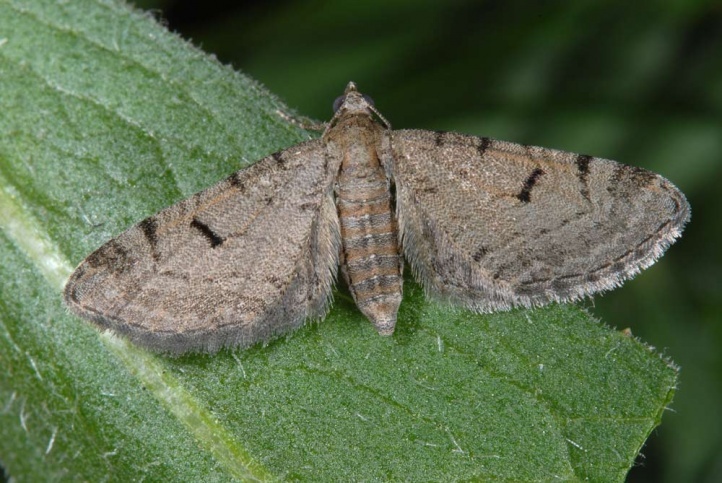 The moths fly in mid-summer (June to early August). 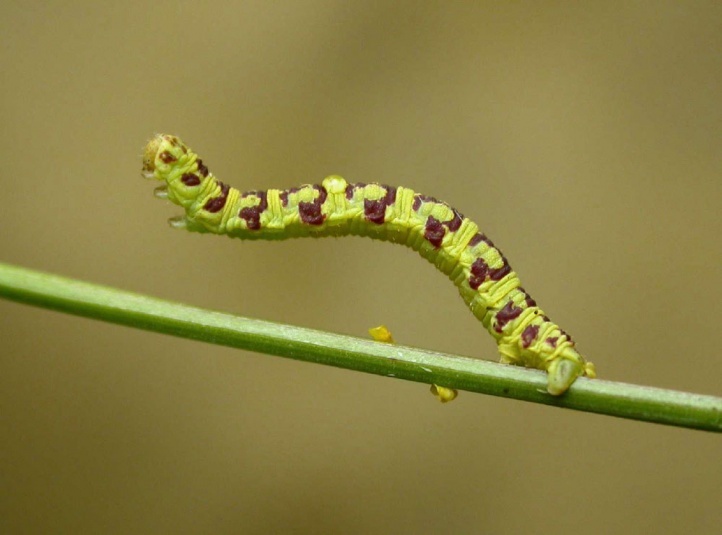 The caterpillars are found from late July to early September. They are highly variable and often marked contrast-rich. 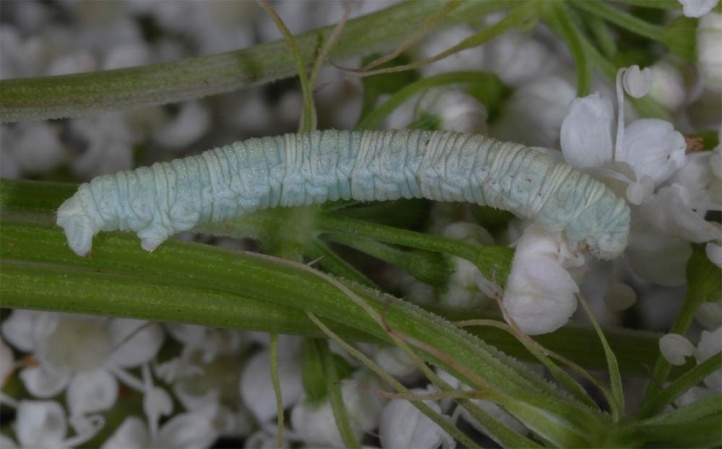 But my larvae on the eastern Swabian Alb were whitish-pale, probably as an adaptation to the flowers of Peucedanum cervaria. 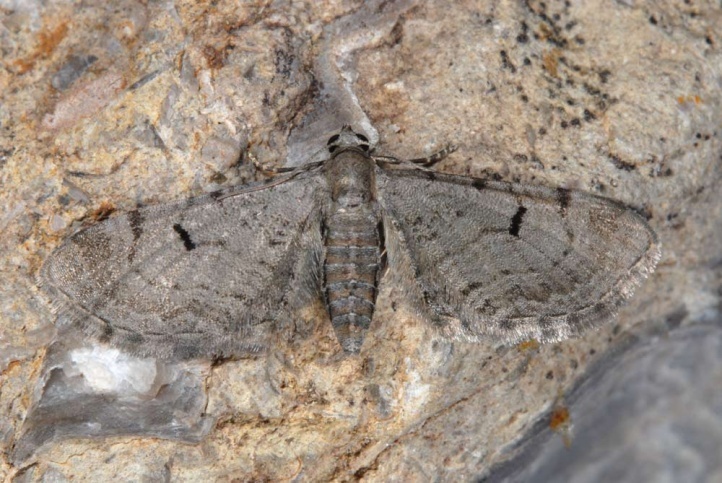 Eupithecia extraversaria is endangered due to the decline of grasslands and due to improper maintenance (pens, etc.) this rather demanding. The distribution extends across parts of Southern and Central Europe east to southern Russia.